As Chief Economist of the NAR, this is my mid year update. 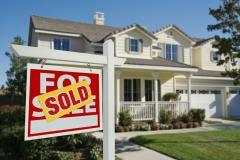 The housing market is making mild progress. However, the massive headwinds are still out there. Even with historically low mortgage rates the purchase market still hasn’t had the rapid recovery from the bottom that most people are accustomed too. This is due to the fact that we simply don’t have enough qualified home buyers (excluding cash buyers) to soak up the excess supply created by the housing bubble. Some in our industry would lead you to believe that lending standards are too harsh and appraisals are coming in too low. We use that as an excuse to mask that Americans without stated income loans with 0 down can’t get home loans. …Then you shouldn’t even be looking for a home to buy and instead focus on your getting your finances in line so that one day you can buy a home. It’s not tight credit– its common sense lending standards. Now what about the “Low Inventory Problem”? A major reason for the low inventory is that almost 16 million Americans are underwater. A lot people can’t, or don’t want to sell because they are waiting for higher prices to get out of the underwater mortgage debt. Also, the foreclosure process is taking way too long — anywhere from 300 days-1000 days. Our fellow housing partners Freddie, Fannie, Home Builders and the Banks are coming out with rental programs in 2012 so those homes won’t be up for sale but for rent. So adding more inventory to the market is almost impossible at this stage. We are trying our best to stop Freddie and Fannie from selling all their foreclosures in bulk for rentals in California, not because we think it’s the 99% vs 1% but because we need the inventory to sell! If we don’t have homes to sell, what are we supposed to do! The lack of homes on the market has caused a bidding war in some areas and because of this some people are saying the housing boom is back in motion. However, as Public Enemy said ” Don’t Believe Hype”. The NAR price index has shown home prices going up 10%, but you know your home has not gone up 10% (maybe even went down). This is because we use mixed home sale data and their hasn’t been much distressed sales lately, so although we like our index, it may not be the most realistic way of portraying the marketplace. Weak supply does lead to multiple bids. However, don’t let it fool you. We have 1/3 of the demand we had back in 2005. With all that said, the outlook for the future really depends on where the economy is going. Even if the economy gains traction and we get strong job numbers and income growth, (somewhere over the rainbow…) we still need to see how the market reacts to higher interest rates and inflation. Purchasing power in a de leveraging economy will be difficult in a higher interest rate environment. 2011 was probably the worst year ever for existing home sales, (man, were the Housing Bulls in 2011 ever wrong!) especially considering our population and low mortgage rates. The percentage rise in existing home sales we have seen this year is hardly surprising considering how awful last year was and the drop in interest rates. Once the real supply and demand imbalances are corrected and we get existing home sales near the 6 million level with more Americans buying homes as primary residences and less cash buyers making them into rentals, then and only then we can say the housing market is making progress to a housing recovery. Until then, may the odds be with you! Follow Benzinga on Linked In Today to catch our best news on your homepage! So let me see… we’re going back to common sense mortgage lending where the 99% will have to come to the table with more identifyable income, assets & Fico scores. With a lack of buyable homes on the market, not only will Real Estate Agents & Brokers be wondering “what are we gonna’ do” – so will a number of people in the financing business, especially Mortgage Brokers. Some of these “professionals” were part of the problem to begin with. The bubble didn’t happen all by itself & the huge numbers of fraudulent transactions made possible by those “professionals” are all the evidence the 99% require to be more cautious. There was a time in history where foreclosures weren’t so common. I would attribute that to banks lending to people who actually verified their income and assets to show they had the capacity to own the home. There will always be a natural flow of foreclosures due to a recession because people lose their jobs. However, this time the loans itself were the big problem because even if people were working the loan wasn’t created in relationship to their DTI ( Debt to income) and assets. So, as someone in the Mortgage Business, I am very happy to see that the loans that are being processed in a fashion were it would represent the true capacity of the home buyer to own that mortgage debt. I would never advocate easing lending standards to allow more home buyers in the market that would put their financial future at risk. So, when I make the case lending standards aren’t too strict, it’s because I don’t want to see future home owner layer themselves with debt that they don’t have the financials to support. In the early to mid 2000’s I can’t tell you how many times my sales staff and I would predict which homes would fall in to foreclosure. We actually had a name for them, FIF (foreclosure in future). Believe it or not, there were times when we actually told prospective buyers that the loan they were using to buy our homes (really should call it using to qualify) were terrible loans, and that if they needed to use that type of loan, they really shouldn’t be buying our home. I know that may be hard to believe, but we actually did try to warn people to stay away from bad deals. But they insisted on buying. I see these same people whining about how the “big bad banks” took advantage of them. True, some buyers were disadvantaged by unscrupulous lenders, but I can assure you many more went in to these deals knowing they were pushing the limit. Unfortunately, American’s have little patience, and have no ability to plan and save for future goals. Your assertion that the 99% are more cautious today is true. But my belief is that they should have been more cautious before now. My parents saved 20% over the course of 8 years renting an apartment until they could afford to buy. Ask any recent college graduate with a decent job 5 years ago if they were willing to wait 8 years to buy a home and they would have laughed in your face. True, incomes haven’t paced with home prices, but it still comes back to the reality of patience and planning. If you want something bad enough, you can make it happen. Bottom line: When housing became a right instead of a privilege, the 99% were set up for failure. I think the ratio is more like 75% and 25%. The 25% will work, plan, save and retire. The 75% don’t have the patience, and expect the government to do the work for them. Just one man’s “not so humble” opinion. The Great Depression caused us to think of Money in a different way. Hopefully, the Great Recession does the same. We need more discipline in regards to home purchases. You should always look at your home purchase with your real debt to income. After tax and expenses that mortgage payment should not make you lose sleep one night!. Pricing still needs to find it’s level. The standard was 3x your income, and with an avg income in US of around 40k, the avg home should be 120k. Remember, these are avg’s and some places are different. I used to see people taking 7-10x their income and met one person who was going to take 90% of their income to buy the place. They were hoping it would increase in value in one year and they’d make a quick 100k (it didn’t work out). Pricing is too high for the average buyer and with most jobs being service oriented, low paying jobs. I see substantial false exuberance in the values of real estate. I love the CNBC and NAR crap, they could have found a rainbow to report in the black plague. I’d like to know what people think will happen to housing if hyper (or even mild/hyper) inflation kicks in. I’ve tried to research it on countries where it’s occurred, but it’s dodgy. Would people pay of their homes with the worthless cash. Would values skyrocket, would they implode etc. It’s a definite possibility here now and would like to know peoples opinions. In terms of Stated Income loans coming back to the commercial banks, that will never happen. Self employed borrowers can get loans, they just need to show more income on their taxes (Yes, means they have to pay more) but with 3.5% down they can do it. I know of a retail bank (that we don’t work with ) that will do stated income but they are asking for a 30% down-payment. Hyper inflation is off the radar for most Americans. It would be a sharp blow and my main concern for the long term outlook in housing. I mean if people can’t qualify for loans with their income at 3.75%, what will happen a 5.75% 6.75% 7.75% …. So, the longer term out look in housing would need to see massive job growth and income growth to provide a sustainable back drop for the primary resident borrower. why lend at 3.5% or refi at 3.0% if you are a lender? Just wait, isn’t that the point, make as much money as possible. Business as usual. Backlog of unemployed/underemployed. adding net 80k jobs a month compounds, more kids coming out of school and less retiring. Exponential issues. Many seem to think there is a “fix”. Keep injecting trillions of dollars in and devalue the existing currency. People are paying off debt, downsizing and consuming less. That is the mortal blow to growth. If people don’t borrow/go into debt we will never see growth. That is how it is engineered. 2% baseline inflation means 2% devaluation of existing currency. The economy grew what 2% with 2/3 of that being due to auto sales, which in turn was fleet renewal or upgrades. hmmm…That is AMAZING growth. China/Japan manufacturing is down because the US and Europe aren’t buying goods. Thus their economy will stall. This stuff isn’t rocket science. A world full of media spin creates a society with ADD resulting in the inability to get anything done. Paying attention to every little tick in the machine, high speed trading, derivatives on top of derivatives quadrillion dollars worth of nothing, backed up by nothing. Maybe some wood, concrete,steel, plastics, rubber but not all that valuable. Housing prices are still inflated. If everyone spent 15 years on an unrealistic ride up their threshold for “real” or “normal” is based off of a false perception of reality. When there aren’t 5-7 million homes in default, foreclosure or on the verge of maybe things will begin to get better. If lending standards increase that is fine, let them rent. Just don’t let large scale investors buy up existing stock because Fannie/Freddie etc…can’t bundle them any better than the MBS fiasco that helped bring us to this point. Nor do these investors have the infrastructure to manage things of this size. It comes down to lack of talent on property management/maint. side. They just don’t have what it takes. Investors will demand a reasonable return and it just won’t be there regardless how you cook the books. In reality look at us. We have low taxes, low interest rates, trillions poured into this economy and all we have to show is sub 2% growth and anemic job growth. The after tax/expense income for real Americans is weak in a de leveraging economy, hence why sales have been horrific with people getting mortgage. As a country we better get some discipline in D.C. soon, because when the bond market moves on us, it’s not going to be like Greece because we are still the biggest player in the game. Australian housing in MEDIAN income groups i.e. median style homes are starting to go negative. Vendors not willing to sell as buyers low ball the offer. Business is slowing. Everybody is on edge. They are desperate for their Tax Refund. Australia is a few years behind the USA. And with China slowing, who is going to buy our resources, support our dollar and buy our RMBS bonds? I predict the US Treasury Bubble will burst in December, when China knows the US election outcome. It will then issue Bonds to fund internal consumption. Investors world wide will flock to its Bond, causing Treasuries to spike. US housing is a long way off the bottom. Watching two financial bubbles in my lifetime and seeing the bust of both of them, I have learned a lot about the power of manipulation and propping. The timing of the 10 year note bust to me is too elusive due to the many and I mean many factors contributing to pushing the yield to lower levels. However, I truly believe the 30 year bond market rally in the bond is cominng to an end soon. All this talk about housing recovery is cute, most coming from people who have never worked on a loan in their life. I take a look at the longer term out look in housing and that should be more concerning to everyone but NEVER gets mentioned by anyone. Either the Job market has to expand as it did under a financial bubble with incomes rising to off set the higher rates and inflation. Or home prices will simply have to come down to a level where people can afford them? Math is Math the rest is storytelling.